Home Home	Smarty Alert: Springfree Trampoline annual Spring Sale is happening now! Our favorite trampoline, Springfree Trampoline, is hosting an amazing Smarty Steal for Spring! 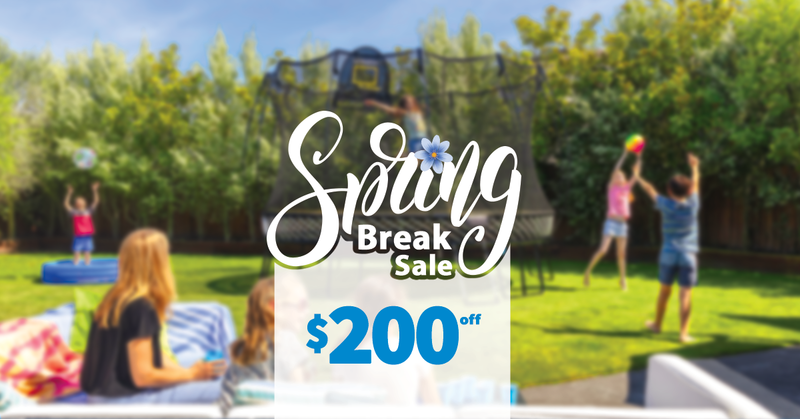 For a limited time, save $200! Bring home the bounce this spring with a Springfree Trampoline! It is the perfect time to get your backyard Summer ready! Flexible install dates and financing available. * Sale ends April 12th, available online and instore. Springfree has a patented safety design, a world-class 10-year warranty, and they lead the industry through innovation as they are the world’s first Smart trampoline. We think that’s pretty Smart(y)! No springs. No hard edges. No frame near the jumping surface. That’s smart(y) engineering! Visit the Charlotte Springfree store in the Blakeney Shopping Center today for a free test jump!